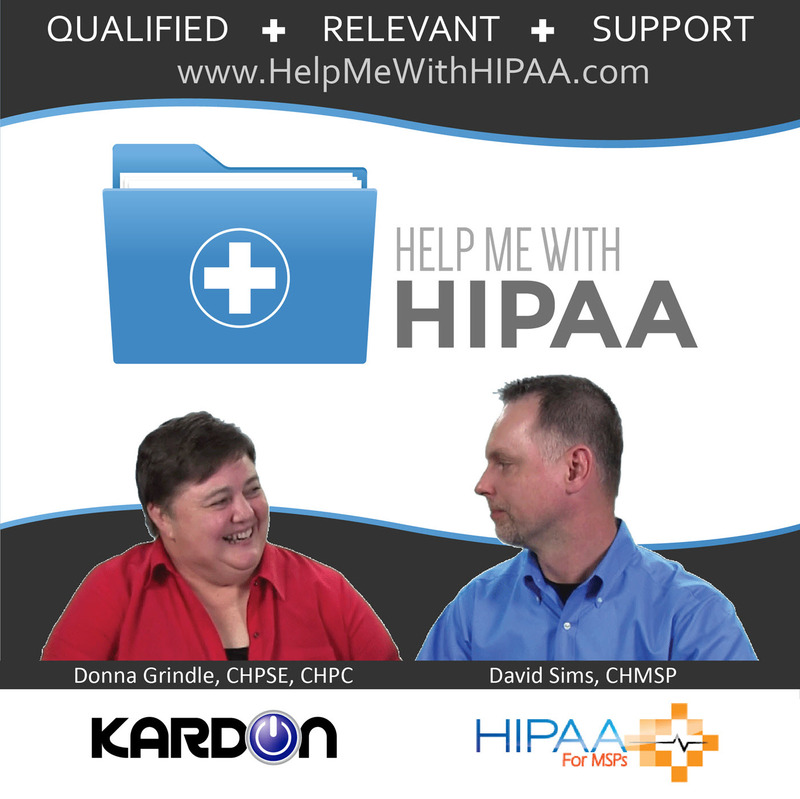 HelpMeWithHIPAA.com is a collaboration between Kardon Compliance founder, Donna Grindle, and HIPAAforMSPs.com founder, David Sims. Our mission is to share our Privacy and Security knowledge with those who are required to understand, implement, and manage the complex Privacy and Security requirements of HIPAA compliance. Our work with CEs and BAs inspired us to launch this service to provide information about the complex requirements of HIPAA in a relaxed manner without using too much legalese or geek speak. As the podcast programs progress we will cover topics that include sorting through the requirements as well as real world examples of the procedures used, both good and bad. Our goal is to create the best podcast concerning HIPAA, Privacy, & Security that you can find for free.